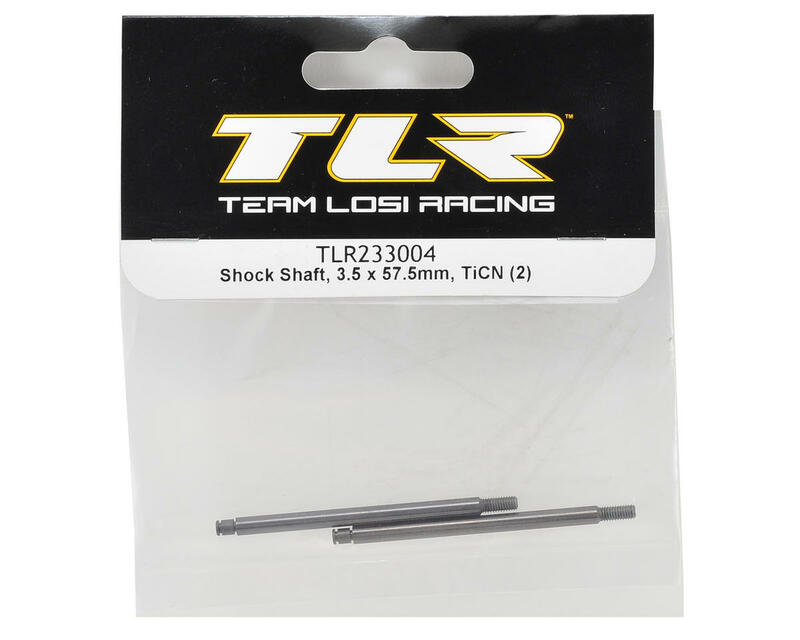 This is a pack of two optional Team Losi Racing 3.5x57.5mm TiCN Rear Shock Shafts. 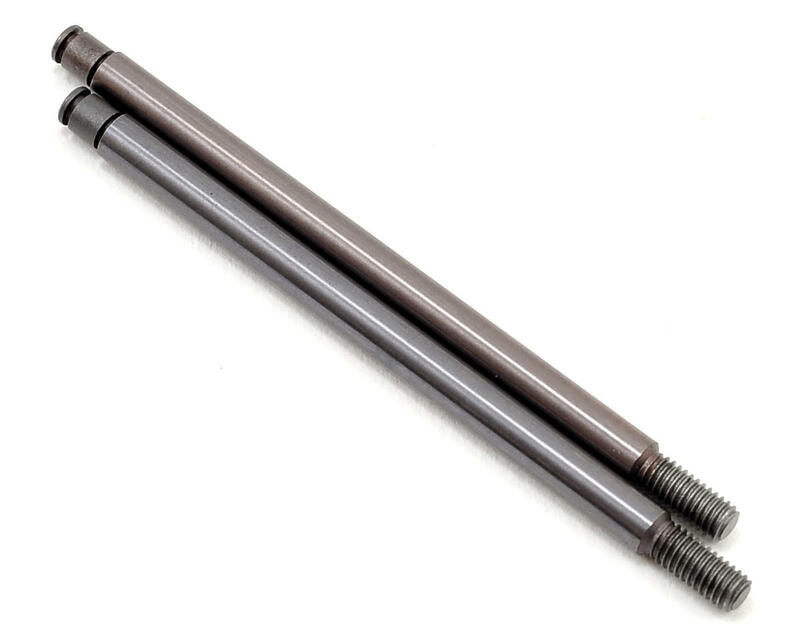 The improved titanium carbonitride coating provides an incredibly hard and tough surface that lasts longer, with higher abrasion resistance and a lower friction coefficient than Ti-Nitride coatings. Adding these shafts, Avid pistons, the new x-ring parts and machined shock bushings will make the truck respond better than it has ever done before. These changes will stop the leaking that chronically plagues 22 shocks.